It is time to Sell Your BMW Cars For Cash in Brisbane when your car spends more time in the garage rather than on the road. No matter which car you own, at the end they are machines and sooner or later they will turn into clunkers. And it is always advisable to get rid of the old and unwanted car rather than holding onto it. If you are ready to Sell My BMW Car Brisbane, we are ready to buy it from you. Few steps before actually selling your car will go in a long way in fetching you the best cash for used cars and cash for unwanted cars. Personal Belongings – Car is a reflection of your personality, especially if you have been a regular user. And therefore, it is natural over a period your car becomes store house for your personal knick-knacks. However, you do not want to give away your personal belonging with the car, and therefore, it is a must to clean the vehicle of your personal belongings. Repairs and touch-ups – For fetching a good price for your vehicle, we recommend you undertake the minor repair to enhance the performance. Also, providing touch up in terms of polishing or repainting will make your car an attractive prospect especially if you want to sell it privately. Clean and Wash – Cleaning and washing your vehicle before putting up for sale is not only good for your selling prospects but also is a basic etiquette you need to follow. So, get your vehicle properly and thoroughly by professionals unless your car is a junk. So, choose wisely and go on to Sell My Car In Brisbane after proper consideration. Looking for BMW Car Buyer Brisbane? Your search ends here. We are enthusiastic about purchasing an unwanted vehicle whether it is a BMW or any other make. We look forward to dealing with American, European, as well as, Japanese vehicles. Similarly, we do not put any condition on buying as far as the condition of the vehicle is concerned. We buy and pay the best cash for junk cars, cash for damaged cars and even pay cash for accidental cars. To get the highest Cash For BMW Cars Brisbane call us with your car details. We have been part of the automobile industry for quite a while and therefore, have the technical know-how of all kinds of car. Wreckery bring our expertise while evaluating your car. We do not believe in the complex process or red tape. We have a very simple process that allows you to get rid of your car in a hassle-free and cost-effective manner. Also, the popularity of BMW makes it a very convenient vehicle to deal with regardless of its condition. We, in fact, pay top cash for junk cars whether it is BMW or any other car. Furthermore, with our friendly yet professional staff, you can scrap bmw cars for cash or junk bmw vehicles for cash without any difficulty. So, make a wise decision and let us be your partner in Cash For Cars Brisbane dealings. 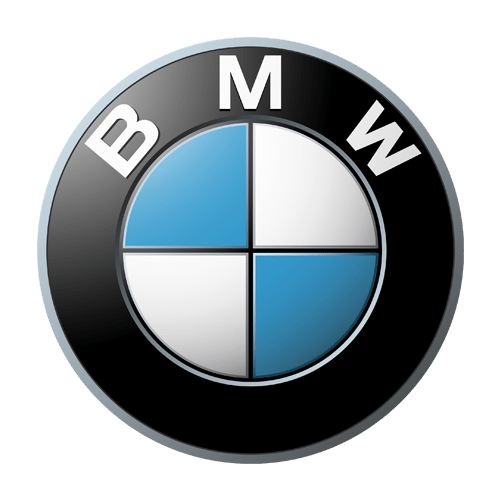 It is easy to become a favourite BMW Car Wreckers Brisbane however; it is as difficult to maintain the numero uno position as Car Wreckers Brisbane. Wreckery takes commitment, dedication, hard-work, transparency, and the trust of our clients to be at the #1 position again and again. We buy bmw cars for cash without any bias. We also deal with unwanted vehicles in green way. That is we try and resell, reuse, and recycle as much as possible. This ensures that we preserve the environment and also aid in preserving the natural resources without adding any unnecessary burden on it. So, do your little bit and be part of the green movement by deciding to sell old bmw vehicles for cash and make fast cash for cars in turn. For smooth BMW Car Removals Brisbane visit us. We offer free car removal service to all our clients in Brisbane and its suburbs. With our well-maintained towing vehicles we are always on top of our game. We are capable of towing away multiple vehicles from same location at the same time and also from multiple locations as per your requirement. So, for fuss-free Car Removals Brisbane call us today. For cash for cars online quote visit our contact us page. To speak to our efficient team members dial 07 3082 6488. For detailed information, write to us at info@wreckery.com.au.